This is wrong: you can easily track the progress of a $29 Amazon package of socks, but not your job application that you put numerous hours into. It appears that corporate recruiting leaders have no empathy for the tremendous anxiety levels experienced by applicants who are unnecessarily kept in the dark about their progress. Treat applicants as investors. On average each applicant invests “three to four hours preparing and submitting” their application to your firm. And, not being able to track a job application seems so 20th century now that we have all grown accustomed to continuously tracking the progress of our package deliveries, Uber cars, and even an application for a mortgage loan. But for some unexplained reason, corporate recruiting is still in the dark ages when it comes to keeping applicants informed about specifically where they are in the hiring process. Research results from Future Workplace’s candidate experience survey (which are cited in quotations throughout this article) reveal that the timely follow-up with your application status is ranked as the #1 factor for improving the overall candidate experience. A few corporations do provide an online process for tracking job applications (careers at Philips comes to mind). But most corporate websites fail even to suggest an automated or self-service way to stay informed about one’s progress. And most of the job-search advisors that you find online simply suggest that you periodically contact the recruiter to find out. I would apply the famous Google “do no evil” phrase to this situation. To me, any corporation that fails to provide this anxiety reducing information on an applicant’s progress clearly meets the “doing evil” standard. The required application tracking technology has already been developed. Corporate recruiting won’t become more transparent about their application process until they fully understand the negative recruiting and business impacts from keeping applicants in the dark. So, here are the top 10 negative consequences resulting from failing to keep applicants fully informed about their progress throughout the hiring process. You will receive fewer first-time applications when potential applicants perceive a lack of empathy — Many likely applicants will simply refuse to apply to corporations that have hiring processes that they determine to be unresponsive or mysterious. Also, potential applicants may be discouraged from applying when they can’t find any obvious indications of openness and transparency (e.g., a detailed description of the steps in the hiring process, the expected hiring timeline, and a website or text-messaging process for following their progress). And, if those on employer-comment sites like Glassdoor rate your process as not being applicant friendly, that negative information will also drive away potential applicants. An increased number of top candidates will drop out of your hiring process — not knowing their progress can be frustrating for a candidate. A high level of frustration among top candidates (who have other choices) may lead them to prematurely give up on your opportunity. Once they mentally drop out of your process and become “ghost candidates,” they will stop reading your messages. They might never know that they were only days away from being offered an initial or a final interview. You will experience decreased offer acceptance rates because applicants assume that your lack of empathy will carry over into the job — Often, applicants view flaws in the recruiting process as warning signs indicating what it’s like to work at the firm. And once applicants perceive a low level of transparency and technology in the hiring process, many will simply assume that this shortcoming will continue when they become an employee. This negative perception may cause your finalists to take another offer from a more empathetic firm over yours. Frustrated applicants will be less likely to apply for your other open positions — Failing to periodically notify candidates of their status during an initial job application process will discourage them from pursuing other later opportunities at your firm. In fact, “80 percent of job seekers say they would be discouraged from considering other relevant job openings at a company that failed to notify them of their application status. When they are notified of their progress “candidates are five times more likely to re-apply to a company.” Only 61 percent of employers say they notify declined candidates about their hiring decision.” In companies that fail to notify rejected applicants, unfortunately, weak candidates may continue to reapply for the same or similar jobs because they have not received any negative feedback that would suggest that they should give up. And, that will clog your system with unwanted applicants. Desirable applicants will be discouraged in the future by negative social media postings — today’s consumers don’t keep it to themselves when they’re frustrated. Expect frustrated applicants to complain about your firm online. In fact, among job seekers, “72 percent report having shared that experience online on an employer review site, such as Glassdoor.” Those visible complaints might cover being kept in the dark, having a painfully slow hiring process, and the unresponsiveness of recruiters when they are messaged. The worst-case anger scenario when it comes to increasing anger levels occurs when candidates are not notified of their rejection in a just-ended job search. No matter what the cause, an increased volume of visible online complaints will hurt your brand image. That will discourage future applications by others. Responding to applicant inquiries will take up valuable recruiter/manager time — when they can’t get information on their progress through self-service, applicants only have two choices: wait it out or periodically contact the recruiter. Unfortunately, the most interested and committed candidates are likely to try more frequently to get a progress report directly from the recruiter (or even worse the hiring manager). Unwanted communication may continue long after the job search is over. These attempts to communicate will take up a great deal of time that would have been saved if there was a self-service progress-checking option. And with the increased volume of calls, if an applicant finds your recruiters to be unresponsive, that may also increase their chances of making negative comments online and becoming a hiring process dropout. A frustrating candidate experience may lead to new hire no-shows — even if a chosen finalist does accept your job offer, if they carry a high level of frustration, it may fester to the point where they change their mind and never show up on their first day. Overall the firm will end up with lower performing new hires (e., quality of hire) — The combined effect of a weakened brand image and a higher number of candidate dropouts due to frustration will result in lower quality applicants, finalists, and new hires. Taken together, these factors overtime will reduce team productivity and innovation. A frustrating candidate experience may lead to an early new-hire turnover — even if your finalist does accept a job offer, the impact of a frustrating hiring experience is likely to last. That lasting imprint of frustration may cause your new hires to continue their job search even after they begin working at your firm. And this may result in them quitting within the first few months after they receive a better offer as a result of their continuing search. Your product sales may suffer if frustrated applicants are also your customers — especially in the retail and service industries, the odds are high that many of your applicants are also your past, current, or future customers. Research by Graeme Johnson at two separate firms revealed that a bad candidate experience among applicants who are also customers could cost a firm millions in lost product sales. I have found one firm, InfoReliance, an IT-solutions firm in Washington, D.C., to be the benchmark firm to learn from when it comes to providing candidates with feedback. This firm believes that anyone expressing interest in its company deserves to know it is unable to hire them. Rather than sending out automatic rejection notices, this firm takes the time to explain to each applicant why they were not chosen for a recruiter screen, an interview, or an offer. The feedback that it provides ranges from a short explanation for all applicants (i.e., lack of experience or education) to a lengthy explanation (a back-and-forth discussion about why they are not the best fit at that time) for a candidate who has been through multiple stages of interviewing. It goes even further by posting their recruiter’s contact information. And, its also accept calls from applicants and even informal inquiries from potential applicants. Finally, it also measures recruiting customer-service levels. It has been doing this for years. It’s time for other corporations to catch up. It’s difficult to improve most of the areas within the candidate experience. However, the one area that is relatively straightforward is allowing the candidate to track their progress throughout the hiring process. It only requires the addition of some existing self-service tracking technology which, incidentally, may already be available as part of the firm’s current ATS technology. As you have read in this article, the benefits and the ROI are both great. 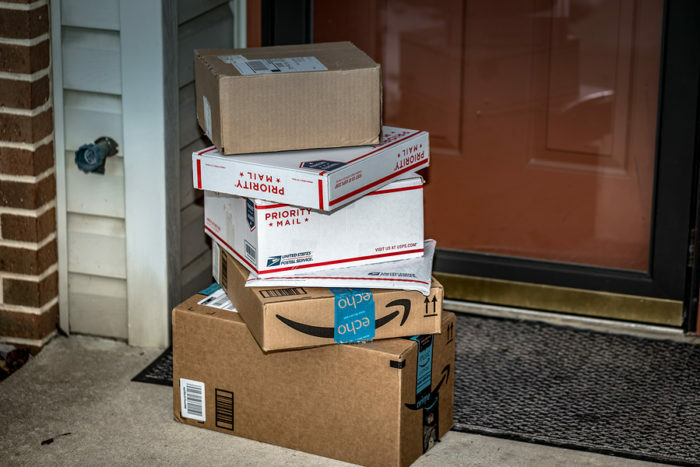 Treat applicants better than an Amazon box full of socks. Take a walk over to your customer-service and supply-chain areas because they’re likely to be experts on providing feedback on progress through a process.